Spotted this while going through some old pictures shot many years ago. 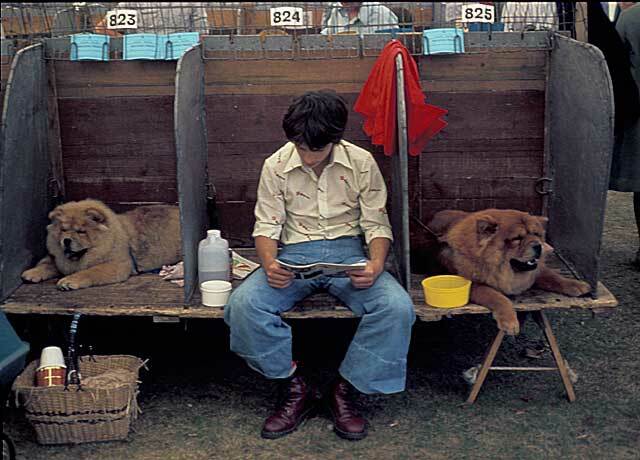 Taken at a dog show the candid of the owner and his dogs has that bit of colour to contrast with the muted tones of the rest of the picture. The red, white and blue shows it could only be a British dog show ! I cannot remember where it was shot but the film is the original Aga 50S and a bit of work was required in Photoshop to straighten the original and bring back a great deal of yellow which had faded.